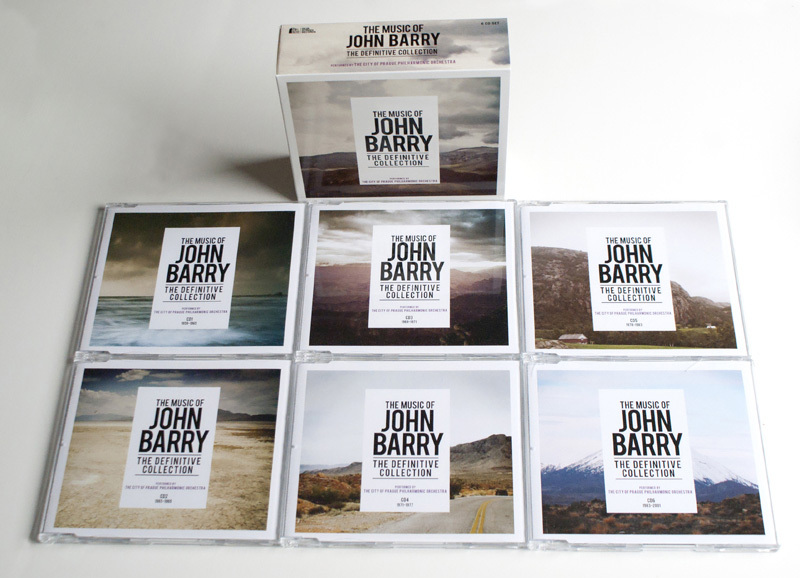 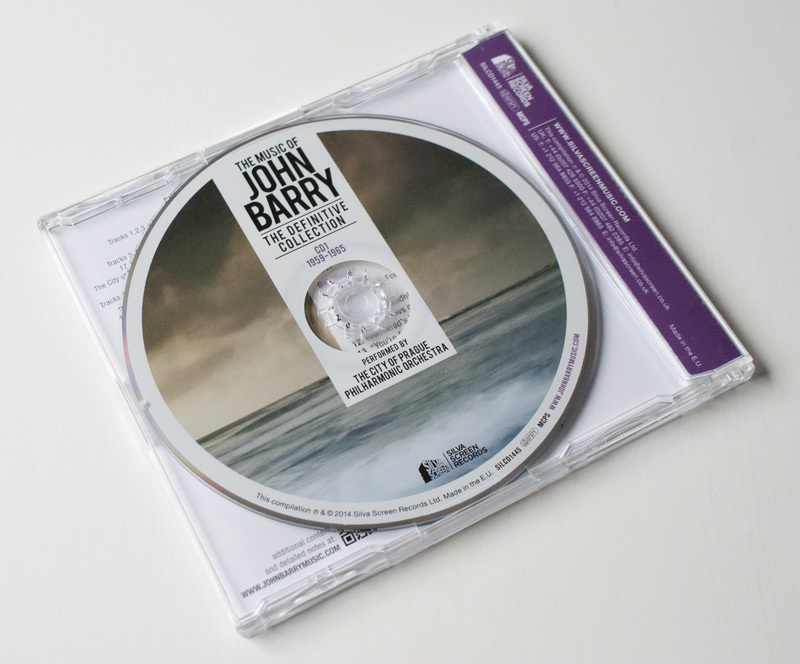 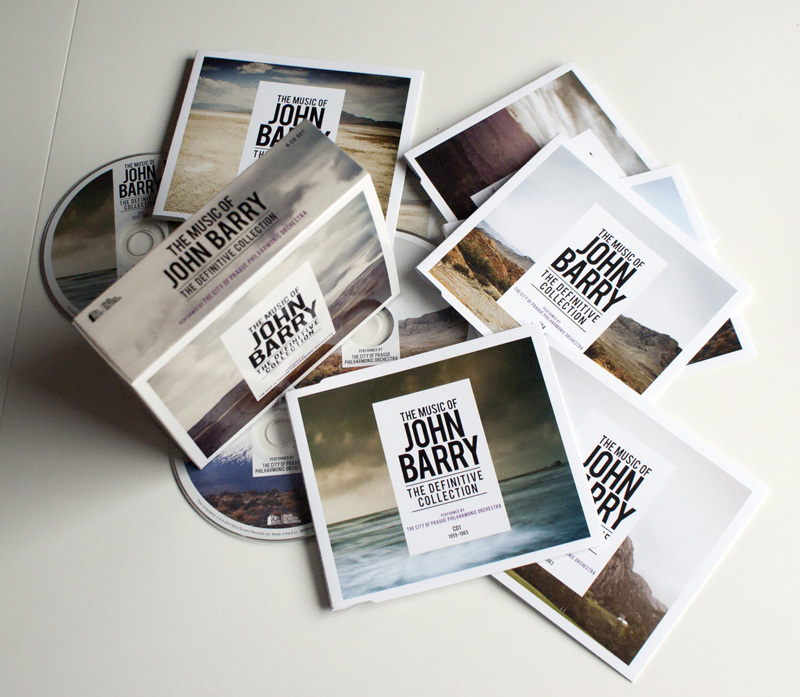 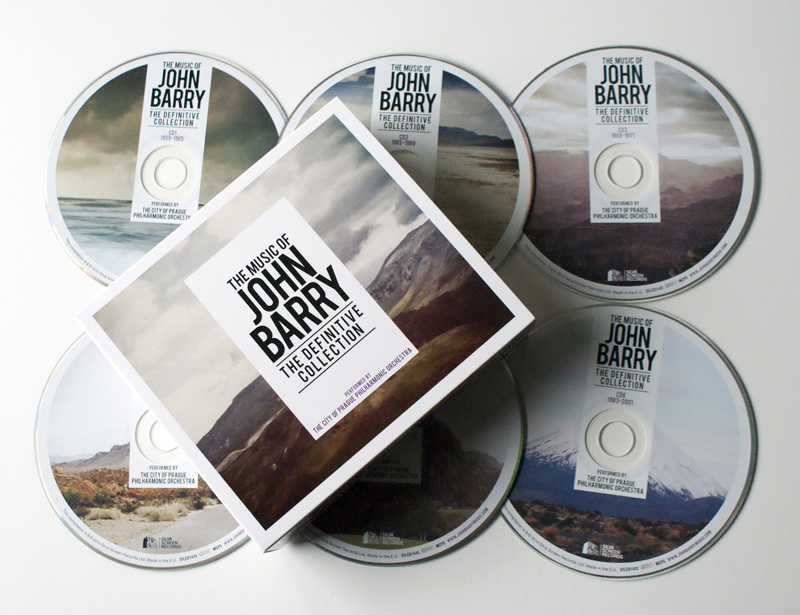 Above is the finish product for a box set containing 6 discs worth of iconic themes and scores from one of Hollywood's greatest composers, John Barry. 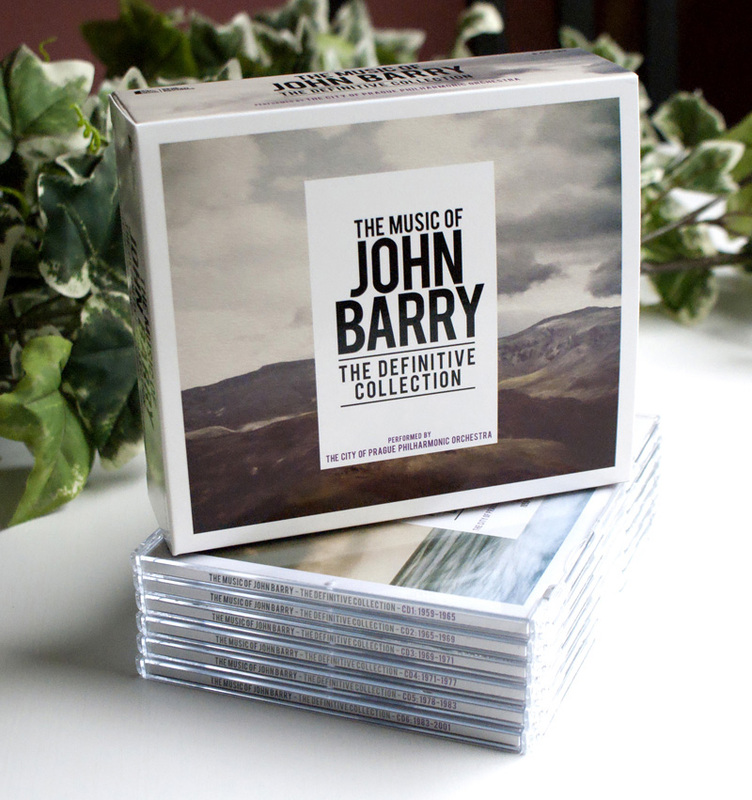 A collection containing not just pieces of music, but memorable soundscapes from classics like Zulu, Midnight Cowboy, The Ipcress File, The Persuaders, Out Of Africa, Raise The Titanic, Dr. No, From Russia With Love, Goldfinger, You Only Live Twice... to name but a few. 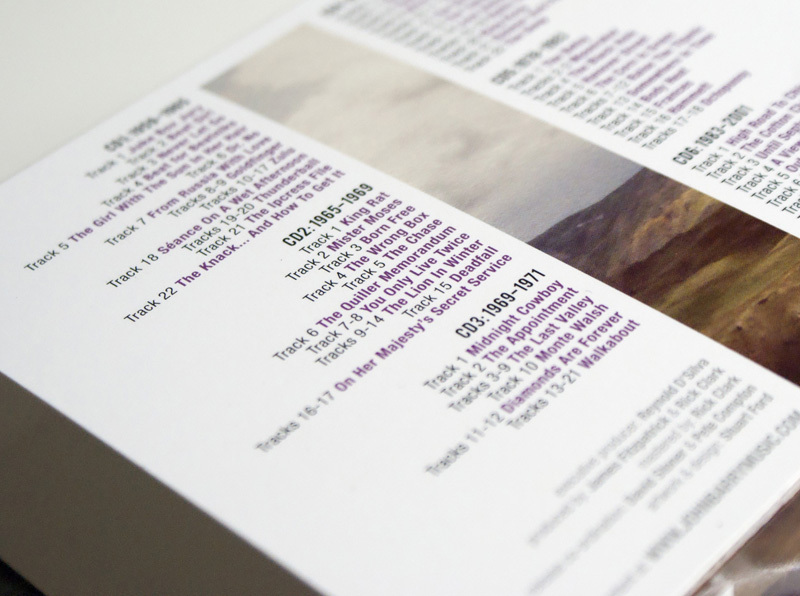 Many of the films and their accompanying arrangements conjure up pictures of sweeping, moody landscapes and exceptional contours. 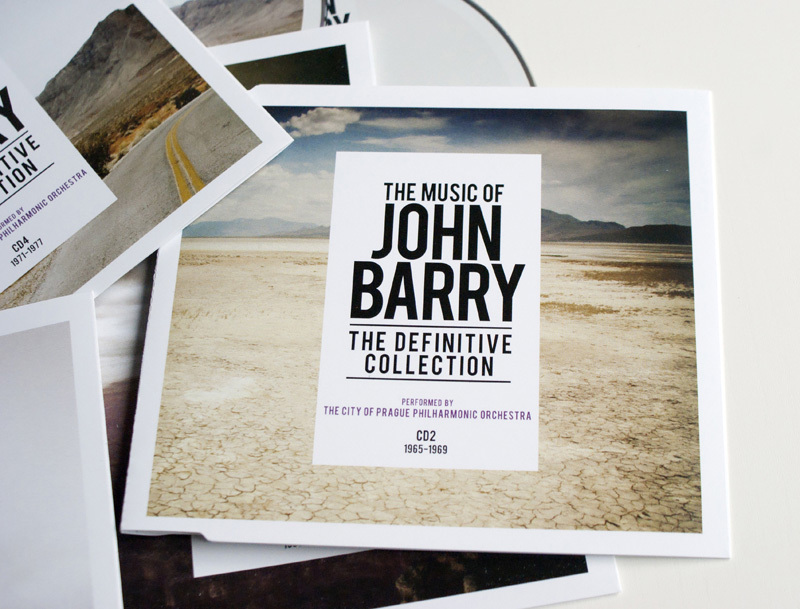 With this being the case, a lot of John Barry albums and tributes take on this visual theme (see 'The Beyondness of Things'). 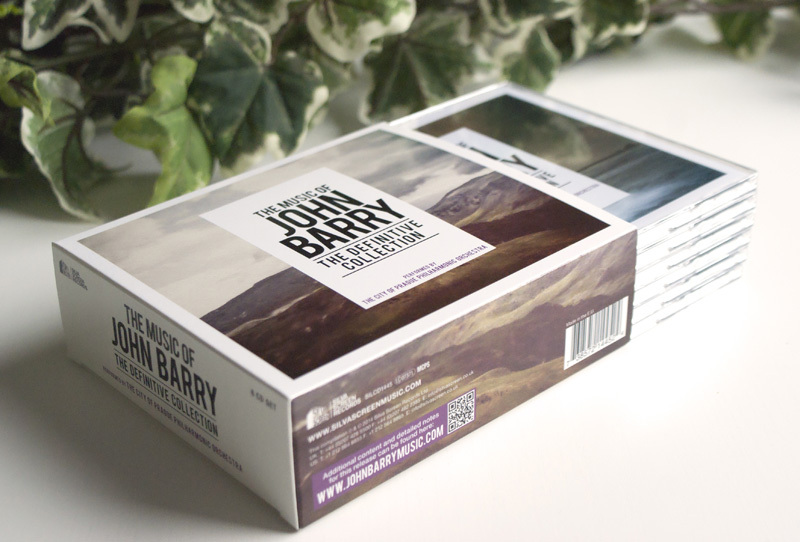 So for this release I wanted to relate the artwork in a way that wouldn't just feel like repetition and would standout from the products already out there, whilst maintaining the visual relationship common among his work. 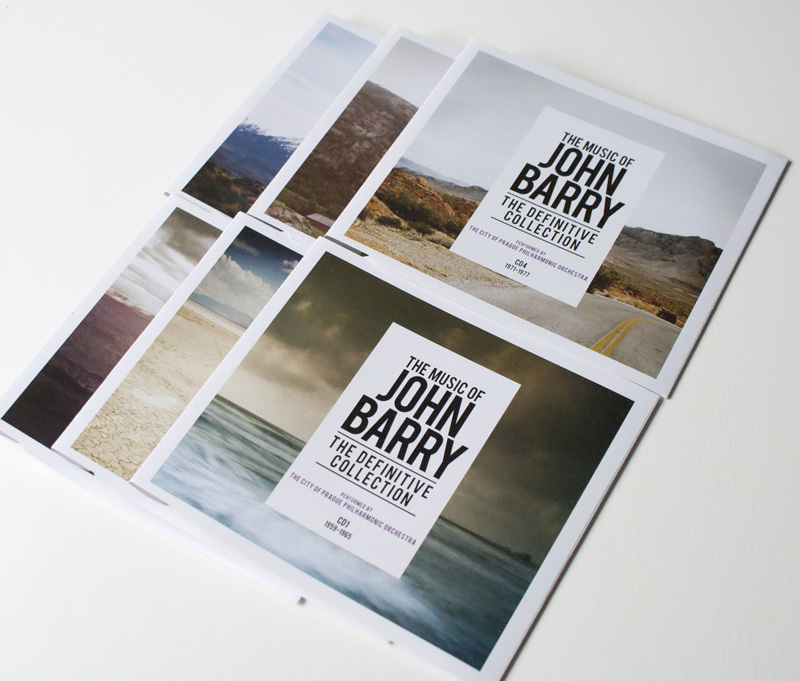 In order to do this the design had to take on a modern style, with the use of white space over and around the imagery. 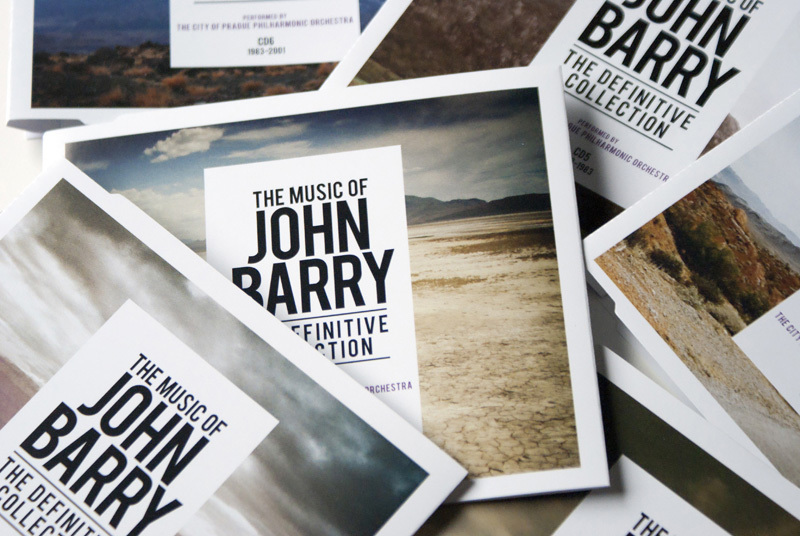 The result is a clean, consistent identity, characterised by the way the typography and layout has as much of an impact as the landscapes themselves.